1. Heat a large skillet to medium-high heat. 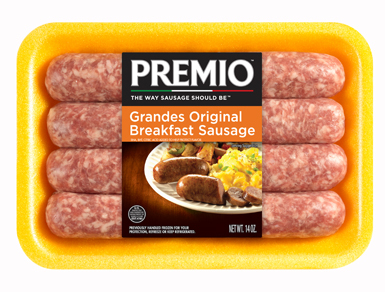 Add Premio sausage and cook until done, according to package directions, about 5-10 minutes. Set sausages aside. 2. Slice crust off bread slices and flatten using a rolling pin or your hands. Place cooked sausage link on the front edge of the bread and roll up tightly. 3. Add eggs, milk, sugar, flour, vanilla and cinnamon to medium sized bowl; mix well. 4. Preheat skillet over medium heat and use butter to coat. 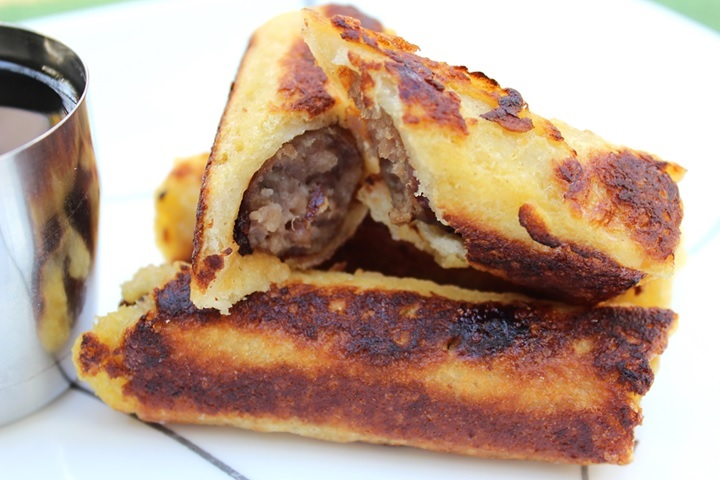 Dip sausage rolls into the egg mixture to coat all sides. Place on hot skillet and cook for a few minutes. Turn gently until golden brown on all sides. 5. Serve warm with a side of your favorite syrup.